Planning a family vacation, romantic getaway or just craving a few days off? 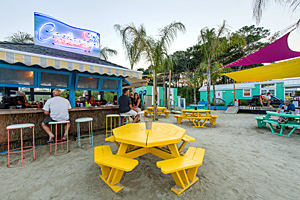 Want to stay within your budget while not sacrificing the comforts and amenities you are accustomed to when you travel? 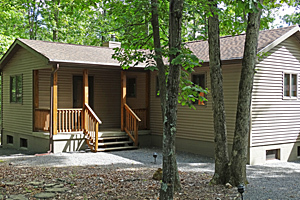 Maryland Cabin and Cottage rentals are the perfect solution. Spend some time in one of our private campgrounds, surrounded by the wonder and serenity of nature while having immediate access to outdoor recreation. Relax and enjoy an evening under a blanket of twinkling stars and retreat to a life that is simpler, kinder and just makes sense. Need to stay connected to your everyday world? No worries – whether to connect or disconnect – the choice is yours. We know that pets are part of the family and deserve a break, too. Forget kennel fees, sad eyes and all that guilt. Many of our rentals welcome your four-legged friends. 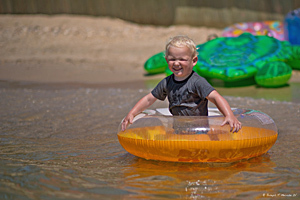 Whether you camped when you were a child or have never slept anywhere but your own bed, staying in one of our cabins or cottages will put a smile on your face. 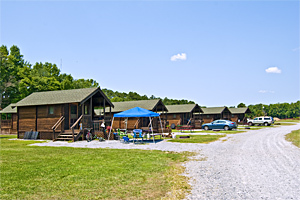 After all, campgrounds like ours are the originators of the “happy camper” phrase! 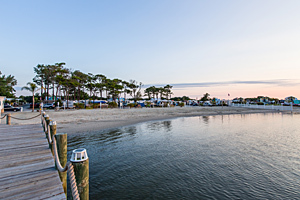 Description: At Buttonwood Beach RV Resort, you will enjoy the natural beauty and serenity of Maryland’s Eastern Shore. Gain exclusive access to a private, gated, resort community nestled at the head of the Chesapeake Bay, on the banks of the Elk River. Enjoy boating, kayaking, fishing, shopping in a fully stocked convenience store or reading (where a free lending library has the perfect beach read). This family-friendly community features a waterfront pool, playground on the beach, basketball court, boat launching ramp and much more. Rentals are managed by their private owners, giving you direct personal contact. Review our listing for information about individual amenities. Buttonwood Beach is just close enough for your convenience, and just far enough away for you to relax, unwind and create some magical summer memories. See the current listings on our website by clicking here. 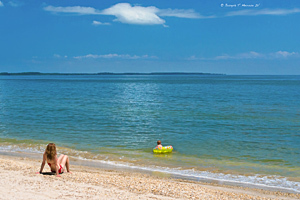 Description: Stunning beach location, on St. George Island where the Potomac meets the Chesapeake Bay. 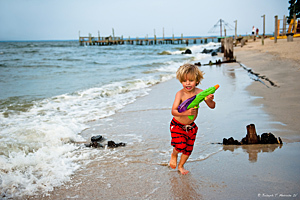 Camp Merryelande has beautiful beach front cottages with all the modern-day amenities such as air conditioning, microwaves, fully stocked kitchens, wi-fi, and cable TV. 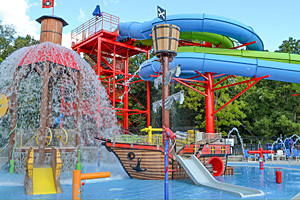 Family activities include fishing, swimming, mini golf, ping pong, bicycling and various other activities. Cottages range in size from efficiencies up to 6 bedrooms, enabling us to accommodate most any size family group. For those looking for a more adventurous getaway, Camp Merryelande has tent sites which are located right along the water’s edge. All cottages and tent sites have fire pits and picnic tables but most importantly a great view of the beach and river. The park is located 1.5 hours South of Washington DC, but from the looks of it you would think you are halfway around the world. Description: Cherry Hill Park is ideally located for visiting Washington DC. 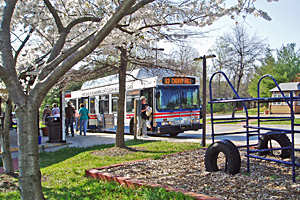 There is no reason to drive to town … buses pickup inside the campground, and will transport you to either the DC Metro system or to the Grayline Tour Terminal. We will give you all the information you need to make your trip simple and easy. 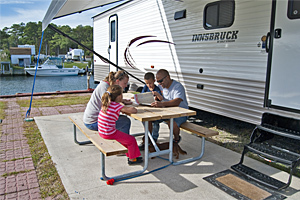 While at the campground enjoy our free Wifi, 2 pools, café and playgrounds. 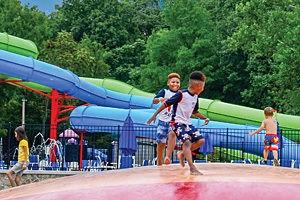 New for 2015, enjoy our 18 hole ADA mini golf course or let the kids run around in our splash park. 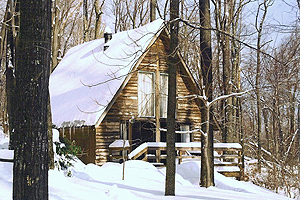 Rental options vary from our 6 bedroom Cottage, The Abigail Adams to our Bare Bone Cabins and Yurts. We have something for everyone, all with air-conditioning. 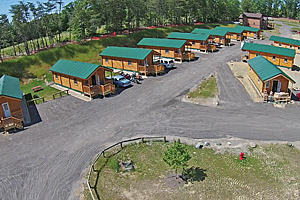 New for 2015 are our Luxury Log Cabins, with 2 bedrooms, bathroom, kitchen, living room and porch. They sleep up to 6 and will be available starting in April 2015. Description: You don’t have to sacrifice luxury to experience the great outdoors in Whaleyville, Maryland! 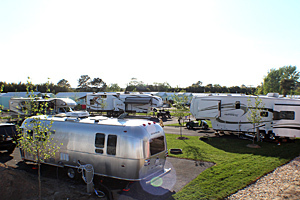 The cousin campground of Frontier Town, located only fifteen minutes from Ocean City, Maryland, Assateague Island National Seashore (home of the wild ponies), and Berlin (named the “Coolest Small Town in America” by Budget Travel in 2014), Fort Whaley offers two rental options to choose from, as well as designated pet-friendly units to include your four-legged family members. Stay in one of our Deluxe Cabins and enjoy the ease of having no tent to pitch, no sleeping bag to unroll, and no long walk to the bathhouse in the middle of the night. 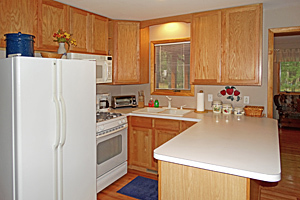 These rentals accommodate up to six people and include a master bedroom, second bedroom with two sets of bunk beds, shower and bathroom, color TV with cable, central air conditioning and heat, refrigerator with freezer, stove, small appliances, dishware, picnic table, charcoal grill, and fire ring. For those who prefer things a bit more rustic, our Barebones Cabins accommodate up to 6 people as well, and include electric, a cable TV connection, air conditioning and heat, one full size bed, two sets of bunk beds, dresser, picnic table, charcoal grill, and fire ring. Description: You don’t have to sacrifice luxury to experience the great outdoors in Ocean City, Maryland! 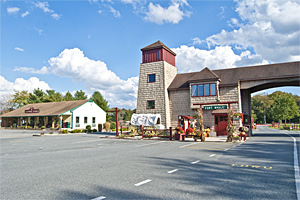 Situated along the beautiful Sinepuxent Bay and only five minutes from Assateague Island National Seashore (home of the wild ponies) and Berlin (named the “Coolest Small Town in America” by Budget Travel in 2014), Frontier Town offers three rental options to choose from, as well as designated pet-friendly units to include your four-legged family members. 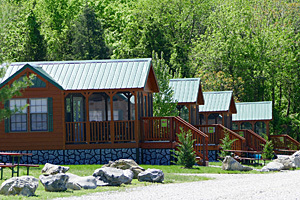 Stay in one of our Deluxe Cabins or Trailers and enjoy the ease of having no tent to pitch, no sleeping bag to unroll, and no long walk to the bathhouse in the middle of the night. Both rentals accommodate up to six people and include a master bedroom, second bedroom with two sets of bunk beds, shower and bathroom, color TV with cable, central air conditioning and heat, refrigerator with freezer, stove, small appliances, dishware, picnic table, charcoal grill, and fire ring. For those who prefer things a bit more rustic, our Barebones Cabins accommodate up to 6 people as well, and include electric, a cable TV connection, air conditioning and heat, one full size bed, two sets of bunk beds, dresser, picnic table, charcoal grill, and fire ring. 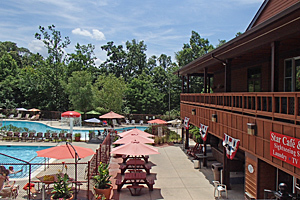 Description: Little Orleans Campground & Park Area is located on 222 acres of beautiful woodlands in the Upper Potomac River valley in Western Maryland and provides a relaxing experience in a mountainous forest environment. There is always something to see and do regardless of the season! 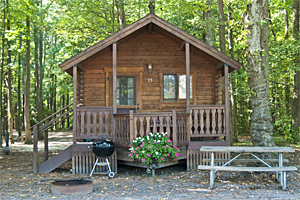 Little Orleans has both cabins and cabinettes (RVs combined with cabin comforts and facilities) with many amenities and relaxing forest views. 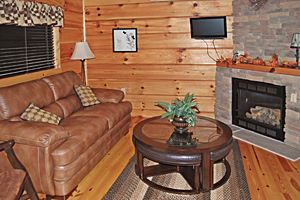 Cabins have a variety of features including propane fireplaces, satellite TV, and jet tubs. 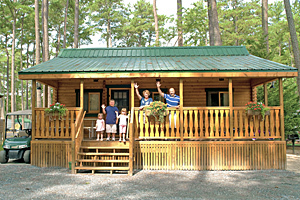 See the cabin listings on the park’s website for details and pictures. 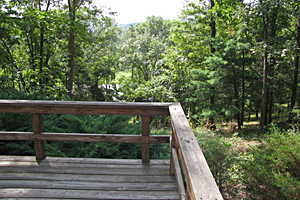 Immediately to the north of the campground is the 43,000-acre Green Ridge State Forest which offers numerous hiking trails and scenic spots as well as mountain biking trails that have been developed nearby. 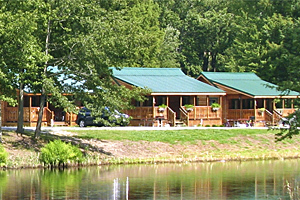 Fifteen-mile Creek runs through the property and is a stocked trout stream. There is a small fishing pond located by the main facility and ATV trails are available in nearby Pennsylvania’s Buchanan State Forest. The Chesapeake & Ohio Canal is located beside the Potomac River 1/2 mile to the south for additional hiking, biking, and horseback riding. There is also a boat ramp at that point on the river that is ideal for canoeing, kayaking, and other small craft. There are local outfitters available to help you with your needs; please check the local links on our website. 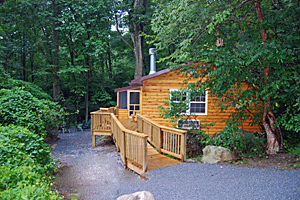 You truly can “Get away from it all” in Western Maryland’s mountains!